Gigantic, fresh Brazil nuts, drenched in Dorothy's chocolate. 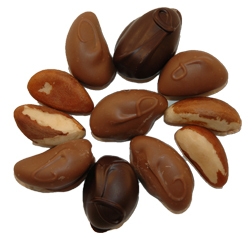 And to think -- just one wonderful Brazil nut supplies a full day's Selenium. Eating healthy never tasted so good!